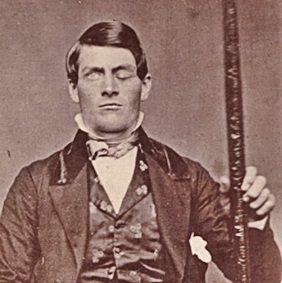 1848 – A Vermont railroad worker survived an iron rod being driven through his brain. Phineas Gage, 25, was directing a work gang blasting rock while preparing the roadbed for the Rutland & Burlington Railroad south of the town of Cavendish, Vermont. Setting a blast entailed boring a hole deep into an out¬crop of rock; adding blasting powder and a fuse; then using the tamping iron to pack sand, clay, or other material into the hole above the powder. Around 4:30 p.m., his attention was attracted by his men working behind him. Looking over his right shoulder, and inadvertently bringing his head into line with the blast hole, Gage opened his mouth to speak; in that same instant the tamping iron sparked against the rock and (possibly because the sand had been omitted) the powder exploded. Rocketed from the hole, the tamping iron – 1 1⁄4 inches in diameter, three feet seven inches long, and weighing 13 pounds – entered the left side of Gage’s face in an upward direction, just forward of the angle of the lower jaw. Continuing upward outside the upper jaw and possibly fracturing the cheekbone, it passed behind the left eye, through the left side of the brain, and out the top of the skull through the frontal bone. Incredibly, almost immediately after the accident, Gage was conscious and able to talk, and insisted on walking to the cart that would take him into town to be treated. Despite his torn scalp and fractured skull, Gage remained lucid and rational during the ride and was able to speak with his attending physician. Just ten weeks after the accident, he returned to his Lebanon, NH home. Gage (shown above the tamping iron) later had several odd jobs: exhibiting himself at Barnum’s American Museum in New York, working in the livery stable of the Dartmouth Inn (Hanover, NH), and driving coaches in Chile. In 1859, after his health began to fail, Gage moved to San Francisco to live with his mother. In February 1860, he began to experience the epileptic seizures that would lead to his death on May 21, 1860. 1862 – Sergeant John Bloss and Corporal Barton W. Mitchell of the 27th Indiana found a piece of paper wrapped around three cigars while the division rested in a meadow outside of Frederick, Maryland, which had served as the site of a Confederate camp a few days before. 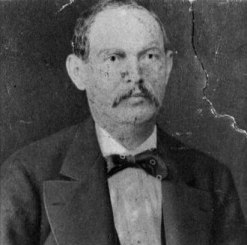 The paper was addressed to Confederate General D.H. Hill. Its title read, Special Order No. 191, Headquarters, Army of Northern Virginia. Realizing that they had discovered a copy of the Confederate operation plan, Bloss and Mitchell quickly passed it up the chain of command. Division adjutant general, Samuel Pittman recognized the handwriting on the orders as that of a colleague from the prewar army, Robert Chilton, who was the adjutant general to Robert E. Lee. With this information, Union General George B. McClellan now knew that Lee’s forces were split into five parts and scattered over a 30-mile stretch, with the Potomac River in between. At least eight miles separated each piece of Lee’s army, and McClellan was just a dozen miles from the nearest Confederate unit at South Mountain. McClellan squandered the opportunity. He believed that Lee possessed a far greater number of troops than the Confederates actually had, despite the fact that the Maryland invasion resulted in a high rate of desertion among the Southerners. 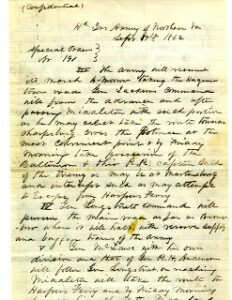 McClellan was also slow to respond to the information in the so-called Lost Order. He took 18 hours to set his army in motion, marching toward Turner’s Gap and Crampton’s Gap in South Mountain, a 50-mile long ridge that was part of the Blue Ridge Mountains. It is no stretch to say if McClellan had promptly acted on the discovery which had been dropped in his lap, the bloodiest day in the entire Civil War – The Battle of Antietam, just four days later – might never have happened. 1899 – Henry Bliss became the first person in the United States to be killed in an automobile accident when he was struck by an electric-powered taxicab in New York City. 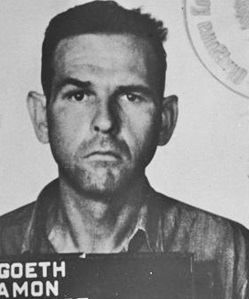 1946 – Amon Leopold Goeth, the commandant of the Krakow-Płaszow concentration camp in Plaszow in German-occupied Poland for most of the camp’s existence during World War II, was hanged at the Montelupich Prison in Krakow. The 1993 film Schindler’s List where Goeth was portrayed by Ralph Fiennes, depicted his brutal running of the Płaszow concentration camp. 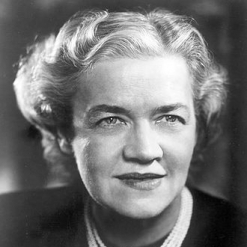 1948 – Margaret Chase Smith of Maine was elected to the U.S. Senate, becoming the first woman to serve in both houses of Congress. A moderate Republican, she is perhaps best remembered for her 1950 speech, “Declaration of Conscience,” in which she criticized the tactics of McCarthyism. Smith was an unsuccessful candidate for the Republican nomination in the 1964 presidential election, but was the first woman to be placed in nomination for the presidency at a major party’s convention. 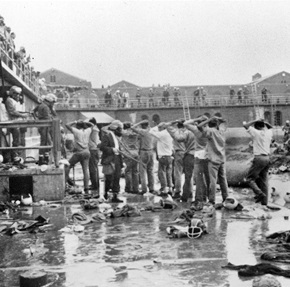 1971 – The four-day revolt at the maximum-security Attica Correctional Facility near Buffalo, New York, ended when hundreds of state police officers stormed the complex in a hail of gunfire. New York Governor Nelson Rockefeller gave the order, with President Richard Nixon’s support, to overtake the prison. Thirty-nine people were killed in the assault, including 29 prisoners and 10 prison guards and employees held hostage since the outset of the ordeal. 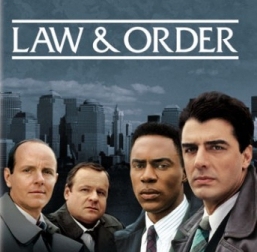 1990 – Law & Order premiered on NBC. It became one of the longest-running primetime dramas in TV history and spawn several popular spin-offs. 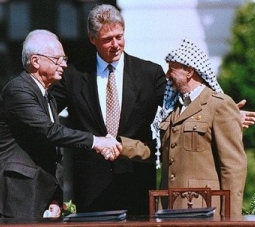 1993 – After decades of bloody animosity, representatives of Israel and Palestine met on the South Lawn of the White House and signed a framework for peace. The “Declaration of Principles” was the first agreement between the Israelis and Palestinians towards ending their conflict and sharing the holy land between the River Jordan and the Mediterranean Sea that they both claim as their homeland. 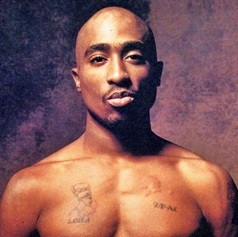 1996 – Rapper Tupac Shakur, 25, died at a Las Vegas hospital six days after he was wounded in a drive-by shooting. The assailant(s) were never found. 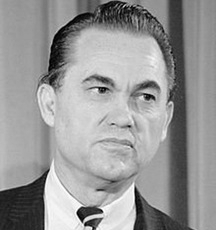 1998 – George Wallace, one of the most controversial politicians in U.S. history, died in Montgomery, Alabama, at the age of 79. In his 1963 inaugural address, Wallace had promised his white followers: “Segregation now! Segregation tomorrow! Segregation forever!” Later that year, he was forced, under federal pressure, to end his blockade of the University of Alabama and allow the enrollment of African American students. Despite his failures in slowing the accelerating civil rights movement in the South, Wallace became a national spokesman for resistance to racial change and in 1964 entered the race for the U.S. presidency. Although defeated in most Democratic presidential primaries he entered, his modest successes demonstrated the extent of popular backlash against integration. In 1968, he made another strong run as the candidate of the American Independent Party and managed to get on the ballot in all 50 states, drawing 10 million votes from across the country. In 1972, Wallace returned to the Democratic Party for his third presidential campaign and, under a slightly more moderate platform, was showing promising returns when Arthur Bremer shot him on May 15. Wallace was permanently paralyzed from the waist down. He remained in the hospital for several months, bringing his third presidential campaign to an irrevocable end. 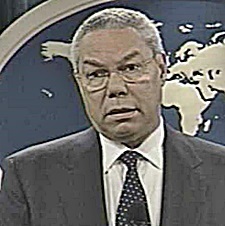 2001 – Secretary of State Colin Powell named Osama bin Laden as the prime suspect in the terror attacks on the United States. Powell also said the Bush administration had begun to apply pressure to Pakistan, a country that has been accused of providing support for bin Laden and giving his militant Islamic organization the freedom to operate. 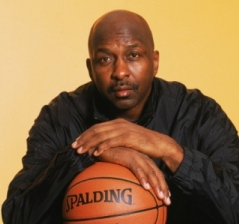 2015 – Moses Malone, a 12-time NBA All Star and an inductee in the NBA Hall of Fame, died of atherosclerotic heart disease at the age of 60.